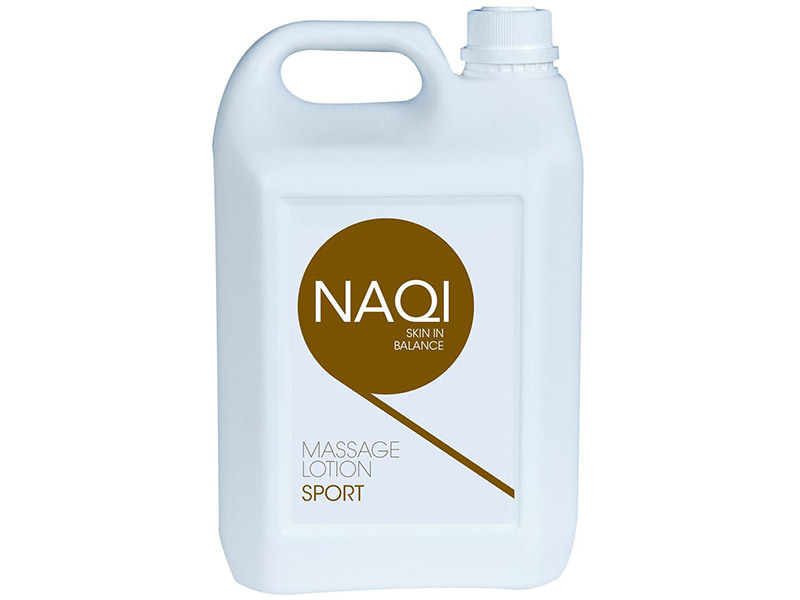 NAQI Massage Lotion Sport is an oil-rich formula specifically designed to provide exceptional lubrication. It is the perfect lotion for stimulating quicker recovery and restoring the muscle’s normal activity, without causing the skin any negative side effects of mechanical handling during a massage. Designed with extended massages in mind, it’s skin-kind-oil-water emulsions and intensively hydrating liquid crystal formula contains cetearyl ethylhexanoate to provide exceptional glide, even on hairy skin, while limiting the greasy feeling. This combination makes NAQI Sport not only extremely economic in use but easy to wash off without leaving behind any stains. NAQI Sport is dermatologically tested and suitable for sensitive and dry skin. It contains the same PH level at the skin and does not contain parabens, formaldehyde releasers or any other standard preservative agents which the skin can easily become intolerant to. So what makes NAQI so different? 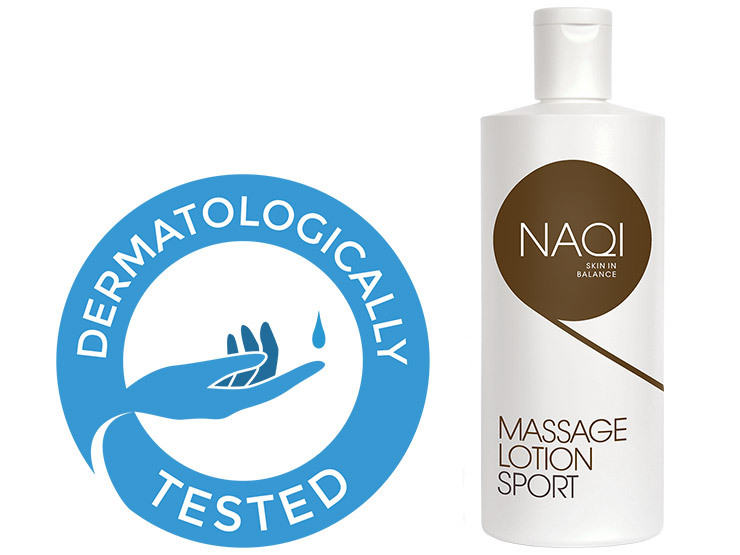 Specialised: NAQI’s roots lie in sports medicine & dermatology, enabling them to offer products not only for professionals but also regular sportsmen, allowing them to have the right lotion for each treatment and therapist. Innovative: NAQI continuously invests in improvement to optimizing their lotions, their feel, gliding effect, and skin effectiveness. Skin Deep: NAQI ensures all products protect and improve the natural skin balance without the use of ingredients that may cause irritation or stress to the skin. 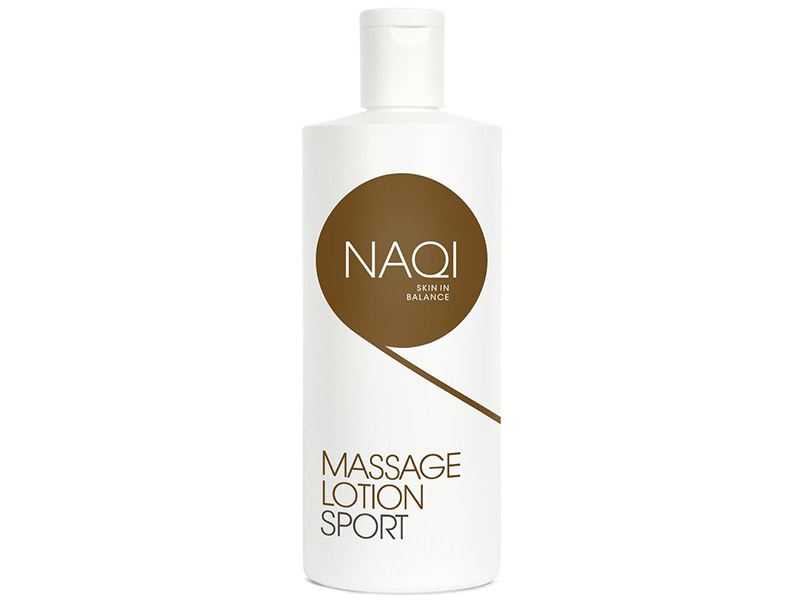 NAQI Massage Lotion Sport - Formerly known as NAQI Lotion. This product came highly recommended by other therapists. I tried some for post-event massage at the recent Ironman UK. Invaluable for hairy clients! Excellent glide and non sticky to use.